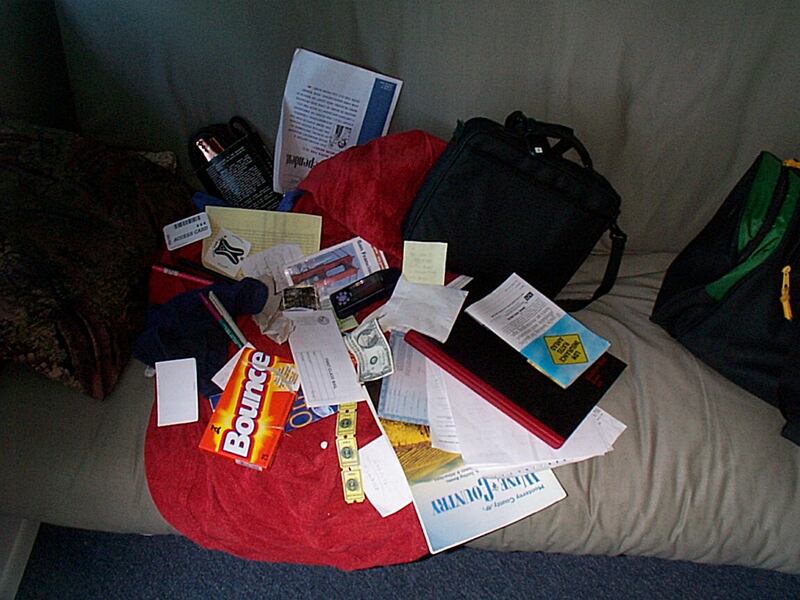 Here's what was in my car 14 May 2001, as a life snapshot from a vehicular angle, and testimony to my poor clutter management skills. No particular order. What it all looks like (big image for now). One Sony Vaio PCG-735 laptop (Debian Linux) '98 vintage. One parking permit for ex-Cable & Wireless job in Houston. Not used.